I was meeting a friend at 9pm for drinks in the West Village at Employees Only. I had never been there before, and it was raining so I was immediately fearful that I’d be 20 mins late because 1. I couldn’t get a cab and 2. What if I got lost?? Fear not I was able to grab a cab from a girl getting dropped off at my building, and the restaurant was SUPER easy to find. I also hate awkwardly waiting for people (I hate a lot of things), so I was happy my friend was already there casually waiting in the front by the bar. First things first. Lets get a drink, it’s 9pm for G-d’s sakes. 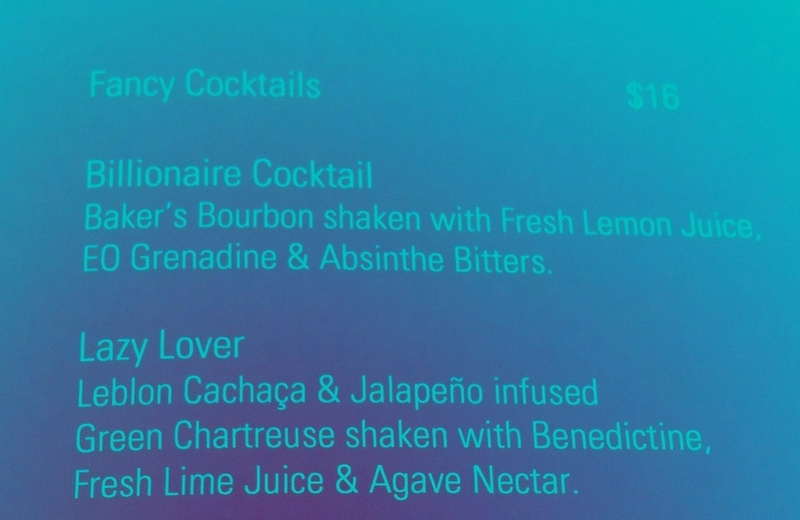 They had a section called Fancy Drinks which immediately tickled my fancy (I’m sorry I’m not sorry). I like drinks with a little kick, so I asked the waitress what she recommended she said the “Lazy Lover” so I just went with that. The drink was super good, and I gobbled it right up. I ended up ordering three of them, so I was a wittle drunk. Woops. At around drink #2, the next question of the night came, “should we get another dish?” OK! We went for the cheese plate. NOT the best cheese plate in town. 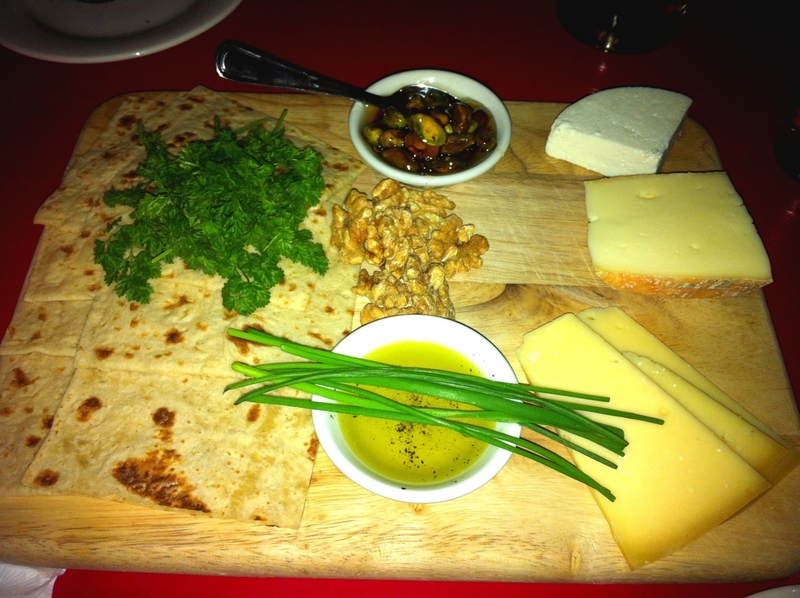 This cheese platter came with tortilla like bread (I like crostinis, but what are you gonna do?). I also like when they give you fruity jellies (do you know what im talking about at all?) on the side, but this restaurant only gave a side of nuts to mix with the cheeses. This obviously didn’t stop me from eating. Alcohol and cheese/carbs were in front of me…I was a goner. “Sure” (you’re going to show me anyway). My Lazy Lover drink had made me super giddy and enthusiastic, and I gave my friend a kiss on the cheek AND a hug good-bye as if I’d never see them again (alcohol does that!). I would totes go to Employees Only again. It was a cute bar with great drinks, but I think I’d eat before again too. It does not say Employees Only on the outside of the restaurant. 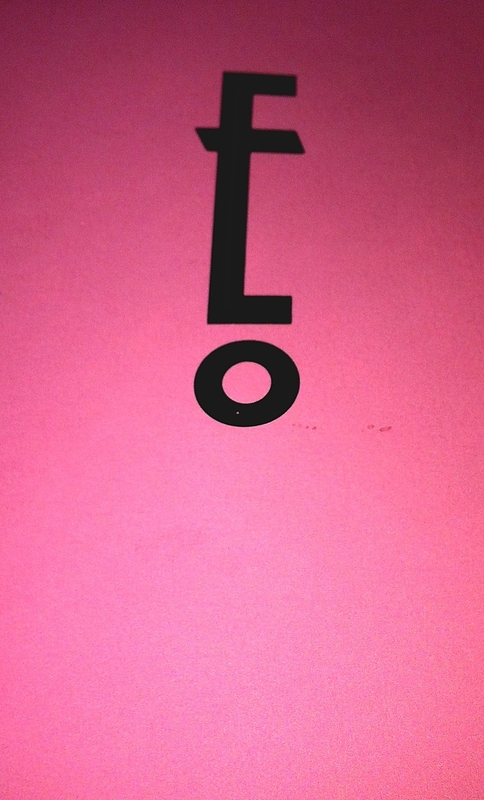 It just has this symbol (ok fine it’s an “E” and an “O”), and the address number. You have to admit they look good for something called bone marrow poppers. The waitress said they were meant to be eaten in one bite, but I felt like I had an oversized sushi roll in my mouth when I did that. See what I mean with the tortilla like bread? And the random nuts? I nibbled on the cheese like a little mouse.